. :: PRESS CONFERENCE AND ANNOUNCEMENTS FOR FEI WORLD EQUESTRIAN GAMES™ TRYON 2018 ::. Omaha, NE - March 29, 2016 - Media are invited to attend a special press conference announcing exciting news and essential media information about the FEI World Equestrian Games™ Tryon 2018 (WEG). The conference will be held on Friday, March 31, at 12 p.m. CST in the Media Center at the FEI World Cup™ Finals in Omaha, NE. Special announcements about WEG will be live streamed at the FEI YouTube Channel for those who cannot make the press conference in person. 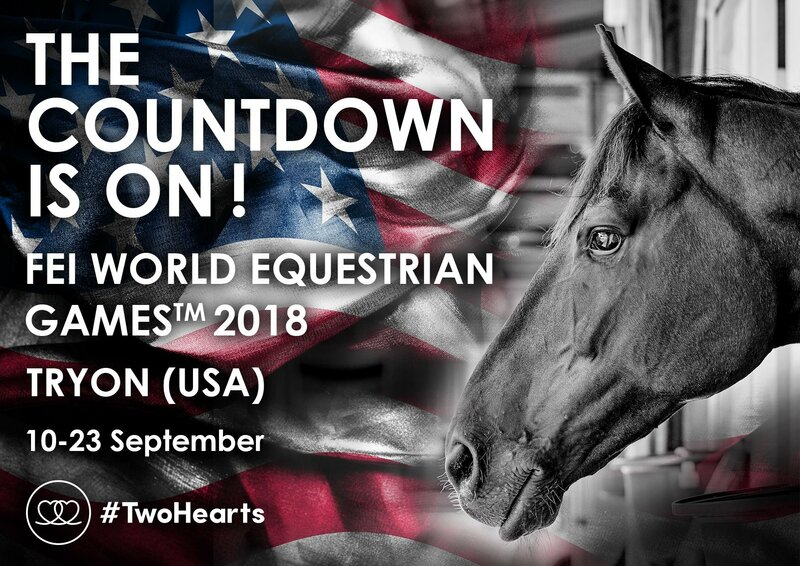 Held every four years in the middle of the Olympic cycle, the 2018 WEG will be held September 11-23 at the Tryon International Equestrian Center (TIEC) in Mill Spring, North Carolina. The press conference will be hosted by key members of the organizing committee including: Mark Bellissimo, CEO; Michael Stone, President and Sports Director; and Jennifer Wood, Press Officer, of the 2018 WEG; as well as FEI Secretary General Sabrina Ibáñez. Special announcements will be made, and all media are welcome to attend. The FEI World Equestrian Games™ is the world championship event for eight equestrian disciplines - Jumping, Dressage and Para-Equestrian Dressage, Eventing, Driving, Endurance, Vaulting and Reining, and is the largest equestrian competition in the world. More than 500,000 people are expected to attend the 13-day event. Nestled in the rolling hills of North Carolina's Blue Ridge Mountain range, Tryon Resort is uniquely qualified to host the event. The Resort, which opened in 2014, is situated on a vast 1,600 acres and includes the Tryon International Equestrian Center. As one of the world's premier equestrian venues, TIEC already has the majority of infrastructure in place. Since its inception in 1990, the FEI WEG has been held in a remarkable list of locations: Stockholm, Sweden (1990), The Hague, Netherlands (1994), Rome, Italy (1998), Jerez de la Frontera, Spain (2002), Aachen, Germany (2006), Lexington, Kentucky (2010), and Normandy, France (2014).